Henry Miller: FDA has device makers looking outside U.S. | fda, device, medical – Opinion – The Orange County Register. 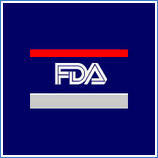 Published: July 18, 2012 Updated: 4:25 p.m.
Henry Miller: FDA has device makers looking outside U.S.
Regulatory disincentives have consequences, and device companies are voting with their feet. Medical devices are something of an orphan sister to the glamour of drugs, but they include some of the genuine miracles of modern medicine: pacemakers, artificial joints, cardiac stents, scanners and radiotherapy machines. The United States currently is the global leader in medical device innovation, and it is one of the few major industries that both boasts a net trade surplus and is a job-creator. The sector employs 400,000 Americans directly and is indirectly responsible for almost 2 million more that supply and support the highly skilled workforce. But the medical device industry is being ravaged by unwise and excessive public policy. Regulatory disincentives have consequences, and device companies are voting with their feet. They have begun to move R&D and manufacturing offshore and even to write off the U.S. market for certain products that are so over-regulated that financing for their testing is unobtainable. An example of the Food and Drug Administration’s misuse of its discretion concerns the Fisher Wallace Stimulator, a portable device used to treat depression, anxiety and insomnia – common symptoms of Post-Traumatic Stress Disorder. It causes no serious side effects and has been on the market without incident since 1991. Because it gained clearance through antiquated “grandfathering” laws, the FDA must now either reclassify the device from Class 3 (usually support or sustain human life, or may pose a high risk of illness or injury) to Class 2 (low-medium risk) or relegate it to an approval process that requires clinical trials on par with hugely expensive drug trials – impossible for a device company that generates under $10 million annually in revenue. The company’s reclassification hearing took place in February. Although the FDA’s panel of outside experts agreed that device is safe, they were strongly divided over whether to reclassify the device based on effectiveness data that lacked the robustness of full-blown drug trials. Such disagreements are not unusual, but what is noteworthy is that FDA seems actually to have engineered the impasse by manipulating the composition of the panel for this particular meeting. One of the most prominent members of the panel, Dr. Alvaro Pascual-Leone, professor of Neurology and Director of the Berenson-Allen Center for Noninvasive Brain Stimulation at Harvard Medical School, was absent. FDA said at the hearing that Dr. Pascual-Leone was “unable to attend” but thereafter, he informed Fisher Wallace via email that the agency had instructed him not to show up. New York City-based Fisher Wallace Laboratories currently manufactures its products in New Jersey and sells them to American veterans of the Vietnam, Iraq and Afghanistan wars. If the FDA decides not to reclassify the company’s device, Fisher Wallace has said it will likely shift its focus abroad, which would leave American veterans and active-duty military personnel without this safe treatment at a time when PTSD is at record levels, and the suicide rate among active-duty troops has overtaken the number dying in battle in Iraq and Afghanistan. More than 23 million of the Fogarty catheters have been manufactured. But consistent with the observation of a former head of the FDA that “dogs bark, cows moo, and regulators regulate,” regulators seem to be trying to squelch this kind of garage-inventor innovation. Consider the sorry saga of Connecticut psychologist and educator Robert Reynolds, who invented a low-tech gizmo for teachers to use in the classroom for children with attention and behavior problems – a simple radio-frequency device that allows a teacher to send two different pager-like vibrations to a student’s watch. One kind of vibration reminds him when he is off-task, and a slightly different one is sent if he self-corrects and is on-task. The watch tracks the points the student earns, for which he can receive prearranged awards. Sounds like an update of the way the gold stars in my copy-book and a few words from the teacher were used when I was a kid, but FDA apparently saw this as an opportunity to flex their bureaucratic muscles – and they threw the book at this guy, burying him in a hugely expensive, terrifying, Kafkaesque experience. These examples epitomize an agency that seems lately to use its power in ways that contravene decency and compassion toward patients. American taxpayers, ill or healthy, deserve better. Miller, a physician and fellow at Stanford University’s Hoover Institution, was founding director of the FDA’s Office of Biotechnology.